I was at PhotoPlus on Friday, and spent time both in the NPS suite as well as on the show floor. In the NPS booth, I asked them about the D5 and CF Express. The response from NPS was that I should find one of 2 senior product people on the show floor, as there had been some mixed messages internally and I should get it straight from the horse’s mouth. I found one of the guys and asked him. He said for the D5, there will be a firmware update sometime in 2019 that will make it compatible with CF Express. I would assume the same for the D850 and maybe even the D500, but we shall see. I think it’s safe to assume that the D4 and D4s will not see the update. In the NPS suite, I was having a discussion with one of the reps and I mentioned that sometimes Nikon does things that are really unfriendly to the people who have invested a lot of money in their products over a long period of time. I specifically mentioned the BT-A10, which the rep had no clue even existed. I said that the only way you can buy it through Nikon is if you plonk down $450+ for an MH-26ak, when most people who would want the BT-A10 already have an MH-26a that came with their D5. Lastly, the Lexar rep showed me a mockup of a Lexar CFe. 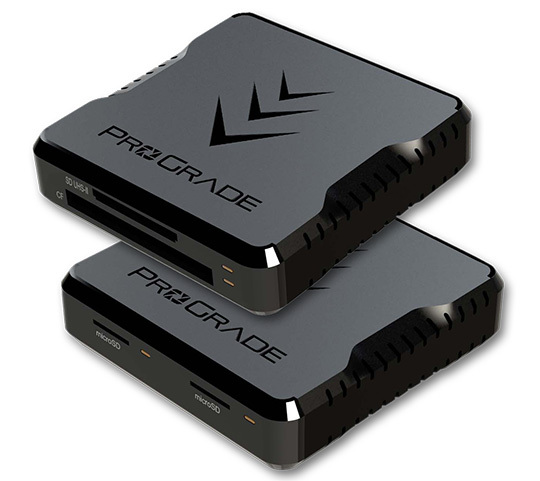 Just got off a long phone conversation with ProGrade Digital about the status of CF express. They are ready to go and COULD have the cards in stores in about 6 weeks....but no one is using their cards yet so they are not producing them yet. Apparently, the ball is in Nikon’s field. They have given Nikon prototype cards and are waiting for Nikon to put firmware on a prototype camera so they can test the cards on the camera before producing them. CF express will not only be faster and higher capacity than XQD but also significantly less expensive (comparable in cost/gigabyte to SD cards). It is the Sony royalties that are keeping the price up. CF express is an open format (anyone can make it) therefore it will be less expensive. I asked if they will be ready by the beginning of 2019, and was told that based on the pace things are moving that is not likely, but they cannot commit to a date because it is basically in Nikon’s hands at this point. The post CF Express updates appeared first on Nikon Rumors.